Good evening and welcome all you wonderful people to the Miracles and Inspiration Conference Call for Tuesday, September 2, 2008. We want to thank you all for joining us and we hope all of you have found your way to our new place on the phone lines. If you haven't noticed yet, we have changed our conference call line as we have switched to a new service. Our new number is 309-946-5200 and the access code is 155845#. We are hoping this conference call service is going to give us some more options and service quality than our old one did. And by the way, if you want to mute yourself on this call, you will input *6, as most services do. Tonight we are going to begin a series of calls on the magical and mystical year of 2012 and what may be coming for us as we get closer and closer. We have also added a 2012 section to our web site, where you can find lots and lots of videos, radio shows and other information from most of the leading 2012 researchers operating today. We will be adding much more to this section in the days and weeks to come. But I would encourage you to begin to educate and enlighten yourself about the year 2012 as it is more than likely going to be the single most important event in your entire life. Without a doubt! OK, before we get started tonight we are going to ask Dan to lead us in an invocation. Dan? Today is a day to align yourself, to have your mind, heart, emotional center and body fully aligned with each other and to your higher purpose in this life. You do not need to know exactly what that higher purpose is. Align yourself to a lifted state and it will be pulled toward you, unfolding before you each step of the way. You do not need clarity of the future. You need only have clarity in this moment, clarity and alignment. When you are achieving your higher purpose, when you are fulfilling your soul's passion, you will feel very calm and peaceful in your center, very loving in your heart and very clear and quiet in your mind. Your goal is to achieve that state right now in order to create a loving and welcoming environment for your unfolding life. First, sit quietly and breathe deeply. Then begin by opening your heart. If you like, play a piece of music that always opens your heart, something lifting and elevating, something that helps your heart open like the unfolding petals of a rose on a bright summer day. Your heart should feel tender and vulnerable, open and accepting, ready to give and receive the universal flow of unending love. Now, focus on your center and picture a deep pool of peace, an unending pool of water, deep and mysterious but utterly still, full of calm, containing all the answers to your questions, so complete and whole that questioning is no longer necessary. A pool of faith and peace, deep and calm, endlessly calm. Now turn your attention gently to your head. Lift your attention up to the crown of your head and then to the bright golden ball of energy above it, your higher self. Open the crown of your head and allow a channel of bright golden light to flow down from your soul self into your mind. If you so desire, have that bright golden light flow down from your higher self through the fiber optic cable in between your shoulder blades. Mentally see that clean pure blue and silver river of pure unconditional love energy flowing into your body and into your mind from your higher self. As it enters your mind, feel your mind clearing. Feel all of the conversation stop. The only sound is the sound of the flowing energy, a sound of silence deep and true. Then let this energy flow down to your heart, strengthening the love you find there. And then down to the pool of peace, turning the dark and mysterious pool into a sparkling, bright light of peace and love. And now, let the light fill your body completely. Feel the alignment, as the light flows down from your higher self, through your entire body, to the tips of your toes, then through the soles of your feet and into the earth, grounding you in love and peace. And now, with the light and love flowing steadily down through you, the same channel of light unifying and aligning you throughout, feel…. that the flow of light holds your soul's intention for this life. Feel that intention entering every cell of your body, filling it and energizing it toward your true purpose. Now let your attention travel up your body, from your feet up your legs, to your center now lit with love and light, through your heart open and pulsating with love, through your mind… clear and shining, up to your higher self, and now further up, further and further, up into the vast light above, the oneness, the complete and whole oneness that we are. And feel this alignment, as the light travels up and down, from the vast mind of God to your mind, from the oneness of your being up into the great all, up and down, an alignment complete and absolute. You are that and it is you. All is one and all is love. You are wholly aligned with the universal flow of love and light. You are one and complete and whole. You are. And now, capture this feeling of alignment, this feeling of truth, integrity and oneness, this feeling of love and peace and clarity. Store it away in your memory, your body memory, so that you will always remember what this feels like, to be completely aligned to all that is. Give yourself a physical gesture to recall it, perhaps your hand moving down in a line from your higher self to your center. Perhaps your thumb of each hand contacting the first two fingers closest to it. And then, as you go through your life, you may use the memory of this feeling to guide you, to light your way. Just look for resonance with this feeling in every choice that you make, every pathway you follow, every step that you take. Then, when it feels right, when you feel aligned, step forward in faith and in courage, knowing that you walk in truth and love… fully aligned to your soul's deepest intention. I want to start off right away with a very inspiring video from the great David Wilcock from a video where he appeared on a discussion panel at the Conscious Life Expo in January of this year. This clip is from the video called "The 2012 Enigma" In this video clip, David Wilcock is asked about his theories about the year 2012 by the moderator of this panel discussion, Sean David Morton. Now I have played this before, but it is so good it will really set the mood for us on a very positive note. 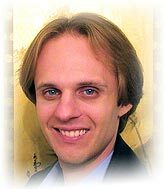 The one aspect I really appreciate about David Wilcock, besides being very intuitive, well-educated, he has very positive and inspiring tone he takes. I think you will agree after you see what he has to say. OK, so what is the 2012 prophecy all about? The Mayans along with the Egyptians were one of the most advanced cultures every to have appeared on the Earth, as far as we know, although there are theories that abound regarding the lost civilizations of Atlantis and Lemuria to name but two. But the Mayans were certainly very, very special. They were proficient at astronavigation and acheoastronomy, multiple languages, astronomy, mathematics and architecture, arcane sciences, magic and of course, the calendars and prophecy. The Mayans were absolutely obsessed with time and became masters of it like no other culture before or since. The Mayan had about 20 different calendars, some of which tracked time and cycles back as far as 6.4 billion years. One would need to have a degree in astronomical computation to understand or make such calculations today. Of the 20 calendars there are two that are of the greatest importance. They are called the Hay'ab and the Tzolk'in calendar. with the later being the most important of them all. 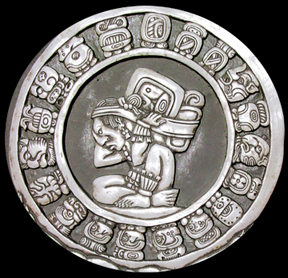 The Tzolk'in or "Sacred Calendar" of the Maya was based on the 26,000 year cycle of the Plaidese. This means that it was based on the movement of our entire galaxy around the Star Alcyon in the constellation of Plaidese in Taurus. According to this calendar, there are six world ages or cycles, each begins comes to its peak, and then ends. After the fifth age there is time when history itself would end. According to the Maya records, their so called fifth world finished in the year AD 1987, which was the Harmonic Convergence that occurred on August 16th & 17th of that year. The termination of this age or this world opens the way for the Maya sixth world to begin and it will start in earnest in the year AD 2012, on December 21st, to be precise. The interim period between the fifth and sixth worlds is a period known to the Maya as the "Apocalypse Time" or the "Time of Revealing." It is a period when man experiences many revelations about himself, his times and the world around him. It is a time when the masks of the false begin to come down to reveal their true intent. The subsequent revelations will change man in many significant ways, both socially and psychologically and of course, spiritually. Then man will inherit the sixth world to come which begins after the winter solstice of the year 2012. You can see this prophecy now unfolding with all the revelations that seem to be emerging by the week. Whether they be of a political, governmental, financial, banking, military nature the revelations are being uncovered at a truly astonishing rate, unprecedented in our history as we know it. There are two other dates that are very important to the Mezzo shamans and both occurred relatively recently. The first is December 21, 1999, a date which marked the beginning of the last 13-year cycle of the Maya long count calendar, which terminates on December 21, 2012. In other words, when our Sun arrived at the winter solstice point of December of 1999, we began a 13-year countdown to the zero year of 2012. Then there is the date of November 8, 2003 and this is also significant since it is the precise central colendrical point between the last harmonic concordance in 1996 and the final zero point date of December 21, 2012. Interpreters of the Maya prophecies and holy books say it is believed that time itself would speed before the coming of the sixth world in 2012 or during the interim period between 1999 and 2012. How many of you have noticed that time is speeding up, or collapsing or just plain screwy? How many of you would say this has been your experience? The scientists that are studying the fluent fluctuations and the Schumann waves of the Earth also portend that some change in the daily temporal cycle is going to occur. The Schumann Resonance has been called the heartbeat of the Earth and though it has been resonating at 7.8 cycles for thousands of years it has been since 1980 increasing in frequency. It is presently at 12 cycles and heading towards the magical number of 13. I would like you to notice the magical number 13. Think about that number for a minute. We have been told for eons of time that it is a very unlucky number. This is another misconception. The number 13 is powerful, beautiful and MAGICAL! Remember how many were at the table during the last supper? 12 disciples and 1 Jesus-13. How many planets are there in our solar system. For the longest time they told us 12 but it is really 13. How many major European banking families are there? 13. Look at the back of the dollar bill, you will find the number 13 EVERYWHERE. Someday, we will do a whole show just on the number 13. Now this fluctuations in one of the most fundamental fields of electromagnetic energy around the planet means that the day of 24 hours will be reduced to about 16 hours in the countdown to the year 2012. How many of you have noticed the days are getting shorter and shorter and I don't mean day lights saving time. Now who ultimately destroyed the Mayan civilization? Well I think you need to look nowhere else but the Vatican. After they had destroyed the European continent and plunged it into the Dark Ages, they turned their attention to the New World. Through their dark spiritual forces they probably knew that the Mayan civilization contained great powers and sacred knowledge that the rest of the world could not know about. It was the Spanish led by Hérnåndo Cortez along with his contingency of Catholic priests who conquered and pillaged the Mayan people, stole or destroyed all their brilliant scientific and sacred wisdom and records. Hernán(do) Cortés de Monroy Pizarro, 1st Marqués del Valle de Oaxaca (1485–December 2, 1547) was a Spanish conquistador who initiated the conquest of the Aztec Empire on behalf of Charles V, king of Castile and Holy Roman Emperor, in the early 16th century. Cortés was part of the generation of Spanish colonizers that began the first phase of the Spanish colonization of the Americas. Most of the brilliant work that was done by the Mayans has been destroyed so we are getting a inaccurate account of what sacred and profound knowledge they really possessed. It is no accident that it was the Catholic church that led the charge and their own priests were given the task of converting the so-called savage "Maya" people to Christianity. I would bet my bottom dollar that many of those missing records of the Mayan culture are sitting in the bowels and catacombs of Vatican City right now. And let me tell you it is no accident that it was the Catholic Fernando Cortez working for the Catholic Spanish crown in tandem with the Vatican hierarchy that purposely destroyed the Mayan culture.